Augé-Chiquet, Mathieu 1909. La vie, les idées et les œuvres de Jean Antoine de Baïf. Paris (reprinted Genève: Slatkine, 1969). Belyi, Andrei 1910. Simvolizm. Moskva: Musaget. Frank, István 1966. Répertoire métrique de la poésie des troubadours, 2nd edn. Paris: H. Champion, 2 vols. Gasparov, Mikhail 1995. Dvadcat’ stikhovedcheskikh kon”ektur k tekstam Majakovskogo. In: Izvestija Akademii nauk SSSR, Serija literatury i jazyka 50(6), 531–538. Jakobson, Roman 1923. O cheshskom stikhe preimushhestvenno v sopostavlenii s russkim. Sborniki po teorii poeticheskogo jazyka 5. [Moskva, Berlin]: Gosudarstvennoe izdatel’stvo R.S.F.S.R. Jakobson, Roman 1960. Closing Statement: Linguistics and Poetics. In: Thomas A. Sebeok (ed.). Style in Language. Cambridge, Mass. : The M.I.T. Press, 350–377. Kiparsky, Paul 2006. A modular metrics for folk verse. In: B. Elan Dresher and Nila Friedberg (eds.). 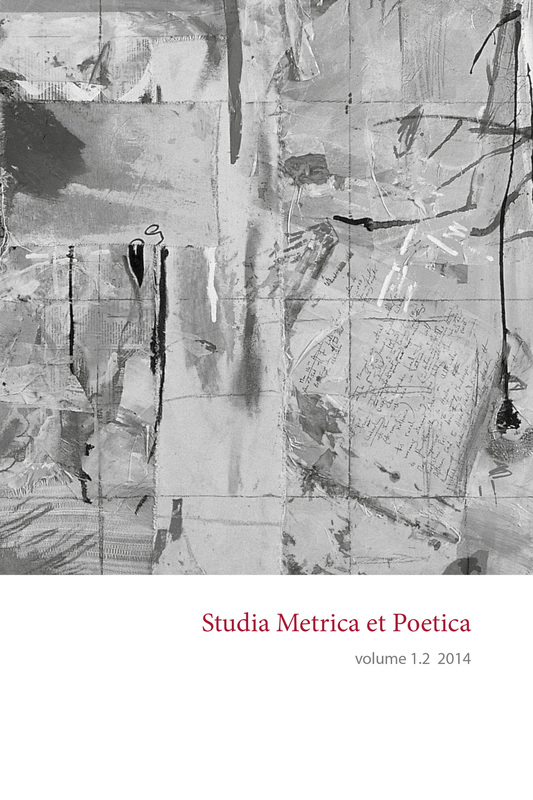 Formal Approaches to Poetry: Recent Developments in Metrics. Phonology and Phonetics 11. Berlin and New York: Mouton de Gruyter, 7–49. Lotman, Mikhail; Lotman, Maria-Kristiina (eds.) 2011. Frontiers in comparative prosody. In memoriam: Mikhail Gasparov. Linguistic insights 113. Bern [etc. ]: Peter Lang. 426 pp. Menichetti, Aldo 1993. Metrica italiana: Fondamenti metrici, prosodia, rima. Medioevo e umanesimo 83. Padova: Antenore. Tarlinskaja, Marina 1993. Strict-Stress Meter in English Poetry: Compared with German and Russian. Calgary: University of Calgary Press.